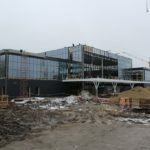 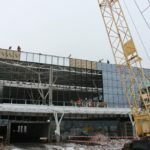 Exactly a year ago, on December 14, the construction of a new, modern passenger terminal began at Zaporizhzhya Airport. 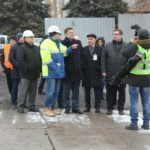 Today, the Mayor of Zaporizhzhia Volodymyr Buryak visited the enterprise for the purpose of holding a meeting, and see what was done during the year. 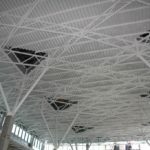 During this time the building of the terminal has already received almost finished outlines. 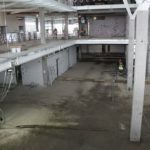 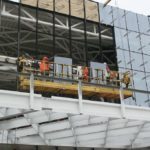 At present, the complete framework of the terminal and completed work on the roof decking, are coming to the end of the work on the installation of glass panels, the laying of communications to the terminal building continues. 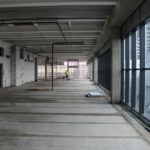 The installation of escalators has begun. 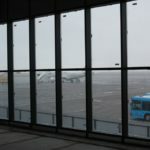 It should be noted separately that the new terminal will have a special lift for people with disabilities, the mounting of which will also begin shortly. 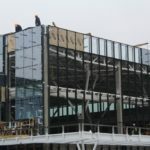 By the end of this year, it is planned to complete the glazing of the building, and to proceed to the installation of the equipment necessary for the operation of the terminal, as well as to the interior decoration of the terminal. 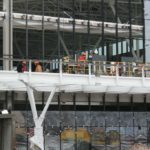 It should be said that now the work continues according to the schedule, and the new terminal will open in 2019.